My name is Abhilash Ramadasan. 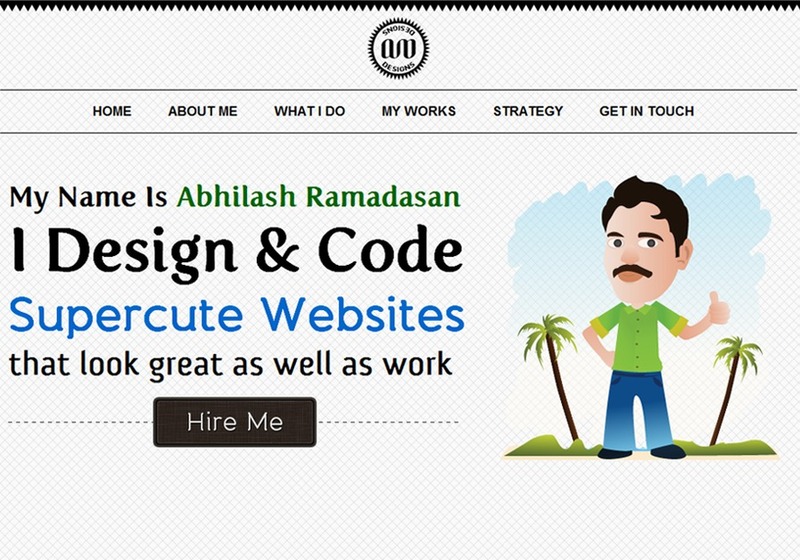 I am a Web/UI Designer & Front-end Developer from the beautiful Indian state called Kerala. I have been working as a Website Designer for the past four years. Initially i worked with a few Web Design Studios in my hometown before going freelance. I like playing with XHTML & CSS, designing Branding Identity, create cool effects in flash for your presentations or website and optimizing web pages to help them rank high in search results.